Testing our applications is something we all do. Ahem, rather, it’s something we all *wish* we did. In this chat, I’ll introduce you to Behat (version 3!!!! 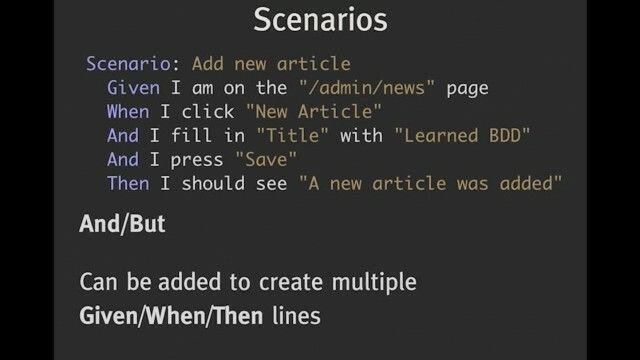 ): a behavior-driven-development (BDD) library that allows you to write functional tests against your application just by writing human-readable sentences/scenarios. To sweeten the deal these tests can be run in a real browser (via Selenium2) with just the flip of a switch. If you asked me to develop without Behat, I’d just retire. It’s that sweet. By the end, you’ll have everything you need to start functionally-testing with Behat in your new, or very old and ugly project. Ryan Weaver is the documentation lead for the Symfony Framework, trainer and consultant at KnpLabs US, writer for KnpUniversity.com and an avid supporter of open source as a tool to solve serious business problems. Ryan likes to present topics in a narrative way – building real applications and telling a story as you learn and develop. He’s a published author, speaker and, most importantly, the husband of the wonderful Leanna Pelham.